Moving the Economic Research Service out of Washington, D.C., will create more problems than it solves, according to an analysis by the American Statistical Association, which opposes the change. Perdue this summer announced plans to restructure and relocate the Economic Research Service. The Washington D.C.-based institution is ranked as the third most important agricultural economics research organization in the world. Its research is comprehensive and exhaustive, covering technical agricultural topics, demographics, social-wellbeing indicators, and more. Also involved in the relocation plan is another USDA research institution based in Washington, D.C., the National Institute of Food and Agriculture. The American Statistical Association – a private organization with members representing industry, government and academia – says the USDA’s rationale for the relocation is contradictory and lacks evidence. Last week the American Statistical Association sent a letter to House and Senate agriculture leadership asking Congress to restrict USDA from spending any funding to relocate the Economic Research Service. The farm bill, which funds ERS along with the rest of USDA’s programs, is in conference committee, and it’s uncertain whether it will be approved before the new Congress convenes in January. The bill currently contains no restrictions on USDA’s ability to relocate ERS. USDA says the change will help improve employee attrition. The report says USDA initially misstated the ERS attrition rate at 4.5% greater than the department-wide attrition rate because it included summer interns in the figures. The actual number is 1% greater, according to figures USDA later supplied to the chairman and ranking member of the Senate Agriculture Committee. The USDA says moving ERS out of Washington will put the agency closer to stakeholders. The American Statistical Association report says D.C.-based lawmakers, policymakers, USDA staff, and other federal agencies are ERS’s primary constituents. The report also criticizes USDA for not requesting public comment on the restructuring and for moving the proposal forward too quickly. The Daily Yonder routinely republishes reports generated by the Economic Research Service and uses ERS data in its reporting. In recent months, ERS reports and data have been used in Daily Yonder stories on the impact of school nutrition programs, demographic characteristics of rural veterans, rural employment patterns, the relationship of farm size to federal farm support, rural economic innovation, and changes in U.S. population trends. 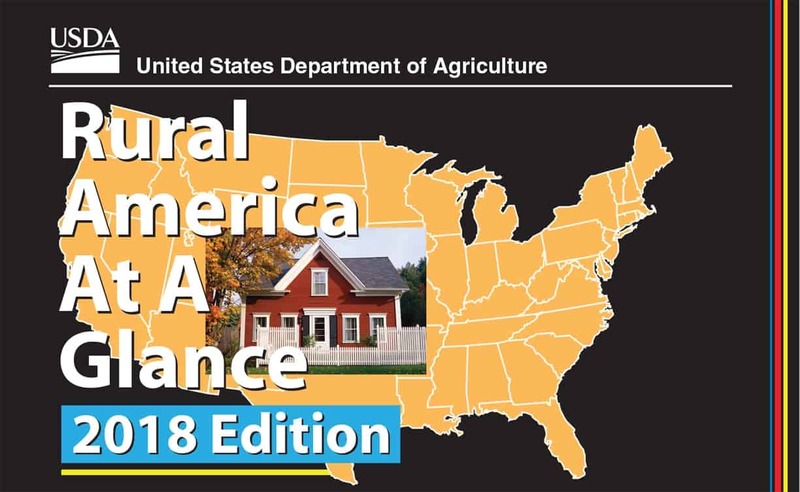 The most recent ERS publication is the 2018 edition of “Rural America at a Glance,” a reference brochure with commonly cited data on employment, population, agricultural production, and other economic and demographic data. Tim Marema is editor of the Daily Yonder. Reach him at tim@dailyyonder.com.